Former 140 lb. 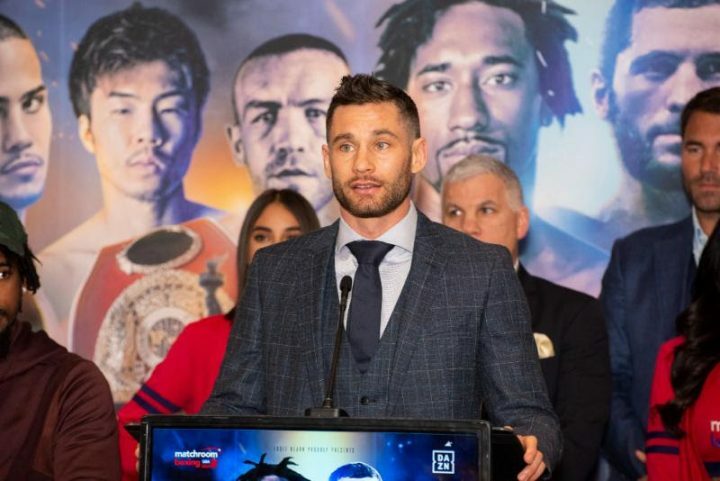 WBO title holder, CHRIS ALGIERI (Huntington, LI, 22-3 8KO), and Queens native, DANNY “EL GALLO” GONZALEZ (Woodhaven, NY, 17-1-1 7KO) will put it all on the line on Friday night at the Hulu Theatre at Madison Square Garden for the WBO International Super Lightweight Title, and the chance to be the next in line for a 140 lb. crown. The action can be seen live on DAZN starting at 6:00PM. This afternoon fighters on Friday nights card met at the Dream Hotel in Manhattan for the final press conference before it all goes down at the Hulu Theatre at Madison Square Garden. Amongst the main event in, Demetrius “Boo Boo” Andrade and Artur Akavov were Star Boxing stablemates, turned rivals for Friday nights fight, Chris Algieri and Danny Gonzalez.